Presidents Naguib and Nasser, originally uploaded by Kodak Agfa. It recommend checking out this Flickr user for historical pictures of Egypt. 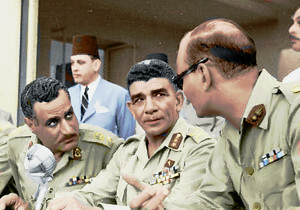 I like this hand-colored pic of Nasser and Naguib.